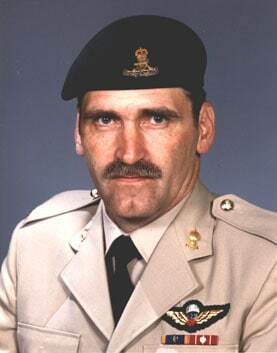 Lieutenant-General Roméo A. Dallaire was born in Denekamp, Holland and enrolled in the Canadian Army in 1964 after four years in the Cadets and the Reserves Force. He attended Collège militaire royal de Saint-Jean, Québec, and graduated with a Bachelor of Sciences from Royal Military College in Kingston, Ontario. He also attended the Canadian Land Forces Command and Staff College in Kingston, Ontario, and the United States Marine Corps Command and Staff College in Virginia. He has held various command, staff and training appointments in Canada and Germany, including command of the 5e Régiment d’artillerie légère du Canada, Valcartier, Québec, Director of Land Requirements responsible for all operational equipment requirements for the Canadian Land Force and Director of Artillery. In 1989, he assumed command of the Collège militaire royal de Saint-Jean. After studying at the British Higher Command and Staff Course in 1991, he was appointed Commander 5e Groupe-brigade mécanisé du Canada at Valcartier. In 1993 he took command of the United Nations Observer Mission – Uganda and Rwanda (UNOMUR) and the United Nations Assistance Mission for Rwanda (UNAMIR). It is for this mission that he was awarded the Meritorious Service Cross. 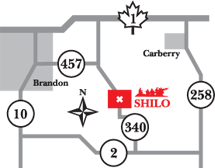 From September 1994 to October 1995, he was simultaneously Deputy Commander of Land Force Command in St. Hubert, Québec, and Commander of the 1st Canadian Division. In June 1995, he was presented with the Vimy Award by the Conference of Defence Associations. Later that year he assumed command of the Land Force Québec Area. In January 1996, Lieutenant-General Dallaire was awarded the United States Legion of Merit. Later that year he became Chief of Staff to the Assistant Deputy Minister (Personnel) Group and in 1998 he became Assistant Deputy Minister (Human Resources-Military). In 1999, he was appointed to the position of Special Advisor to the Chief of the Defence Staff on Officer Professional Development. Lieutenant-General Dallaire retired from the Canadian Armed Forces on April 18th, 2000. Since his retirement, he has worked to bring an understanding of post-traumatic stress disorder to the wider Canadian public. He is currently a Fellow at the Carr Center for Human Rights Policy, Kennedy School of Government at Harvard University and continues as a special advisor to the Canadian International Development Agency (CIDA) on matters relating to war affected children around the world and to the Department of Foreign Affairs and International Trade on the non-proliferation of small arms. He has been named Fellow of the Ryerson Polytechnic University and has received Honoria causa doctorates from numerous Canadian universities. Lieutenant-General Dallaire received the Order of Canada in 2002. His internationally-recognized book “Shake Hands With the Devil – The Failure of Humanity in Rwanda” was awarded the Governor General’s Literary Award for Non-Fiction in 2004. It has garnered numerous international literary awards, and will be the basis of a full-length feature film due for release in 2006. He was recently presented with the United Nations Association in Canada’s Pearson Peace Medal by Canada’s Governor-General, Adrienne Clarkson. Lieutenant-General Dallaire is 58 years of age and will be sitting in the Senate as a member of the Liberal Party of Canada.